Originating from the region of Île-de-France, Laurent Bichon undertook a pastry/boulangerie apprenticeship in a boulangerie and pastry shop. He then completed his “Brevet d’Études Professionnelles” (BEP), specializing in complementary chocolate and ice cream qualifications. After training, in October 2002, Laurent Bichon began as “commis” pastry chef at Le Meurice hotel’s restaurant, one Michelin star, in Paris. Committed to perfecting his range of expertise, and to working in renowned establishments, Chef Laurent Bichon moved to the three Michelin-starred Guy Savoy restaurant in Paris. Rapidly climbing the ladder, Chef Bichon became “chef de partie” at the three-starred Plaza Athénée restaurant, alongside chef Michalak, also in Paris, where he remained for 3 years. Seeing his career developing, he decided to discover other culinary horizons and headed to Canada, where he worked at the St James Hotel for several months as pastry “second”. Upon his return to Paris, Chef Bichon continued his career as “chef de partie” at Hôtel de Crillon in the team of Jérôme Chaucesse, One of the Best Craftsmen in France (Meilleur Ouvrier de France - MOF). Chef Bichon, who was responsible for products sold in the shops of an international pastry school in the south of France, was keen to teach his expertise. He trained students there, alongside chef Olivier Bajard, MOF and World Pastry Champion, for over 6 years. 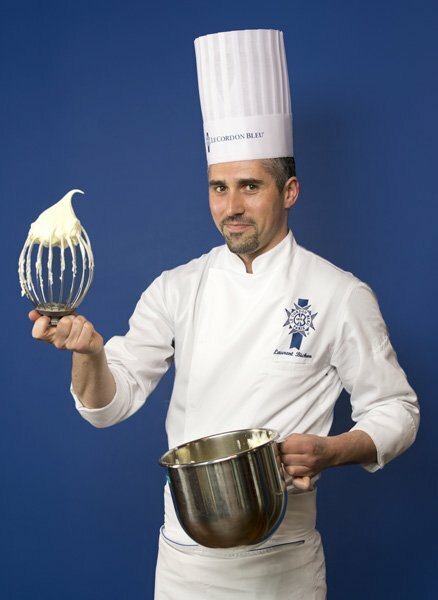 Chef Laurent Bichon joined Le Cordon Bleu Paris team of Chef Instructors in 2017.